There is a wide array of cosmetic injectables available, and each offers a distinctive benefit for patients. While it’s wonderful to have such a broad selection, the number of options can often be overwhelming for patients trying to determine which product is right for them. As this type of facial rejuvenation is the most popular non-surgical cosmetic enhancement, having a better understanding of what the specific formulas are designed to address can help individuals considering treatment. Our experienced facial plastic surgeon, Dr. Eugenie Brunner, will happily explain the finer details during consultation, but a quick overview can help to clarify many of the differences. Broadly speaking, there are two groups of facial injectables: soft tissue fillers and other injectables. Soft tissue fillers, also called dermal fillers, include popular brands like Radiesse®, JUVÉDERM®, Restylane®, and Belotero Balance®. Most skin fillers are comprised of hyaluronic acid (HA), a naturally-occurring substance found in the skin. For the most part, HA fillers are designed to add volume, though thinner formulations often can be utilized to reduce the appearance of wrinkles and acne scars. The thicker gels are best suited for plumping lips, adding volume to and cheeks and temples, filling in nasolabial folds, and contouring jawlines. The thinner formulations are best for smoothing fine lines and minimizing undereye bags. 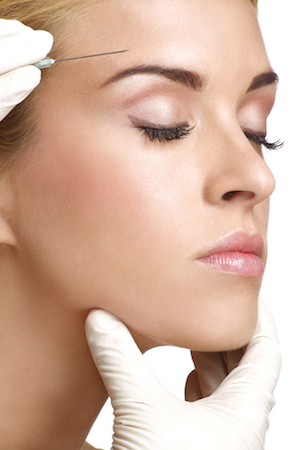 In the “other” category are popular injectables like BOTOX® Cosmetic, Dysport®, and Xeomin®. These products are not fillers. They are mild neurotoxins that can reduce the movement of overactive muscles. While age and gravity are partly to blame for the onset of wrinkles, it’s often the repeated muscle contractions that, over time, create deeper and deeper creases. When carefully applied, BOTOX® injections can soften the movement of the specific muscles that typically cause brow furrows, forehead lines, and wrinkles around the eyes. It takes an experienced injector to enhance the appearance while avoiding the “frozen face” that is sometimes associated with this treatment. To treat very deep stubborn lines due to muscle movement, Dr. Brunner will often use both filler and BOTOX® injections to soften the wrinkle effectively. The advances in facial rejuvenation treatments make it possible to restore a more youthful appearance without relying on invasive surgical procedures. For more information about cosmetic injectables, or if you wish to schedule a consultation with Dr. Brunner, please contact us today.